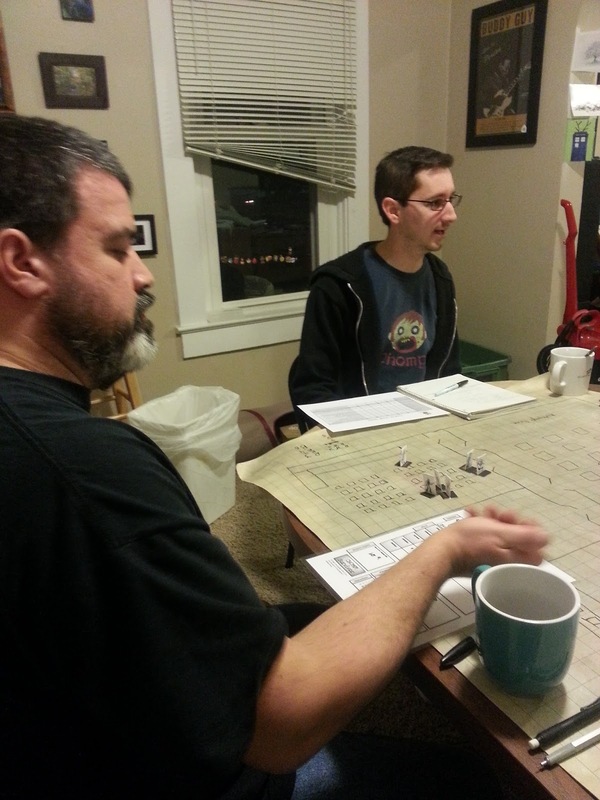 The Chippewa Valley Geek: The CVG Actual Play & Community Theater Podcast 003 - The CHOMP! One-Shot: Wrath at Con! The CVG Actual Play & Community Theater Podcast 003 - The CHOMP! 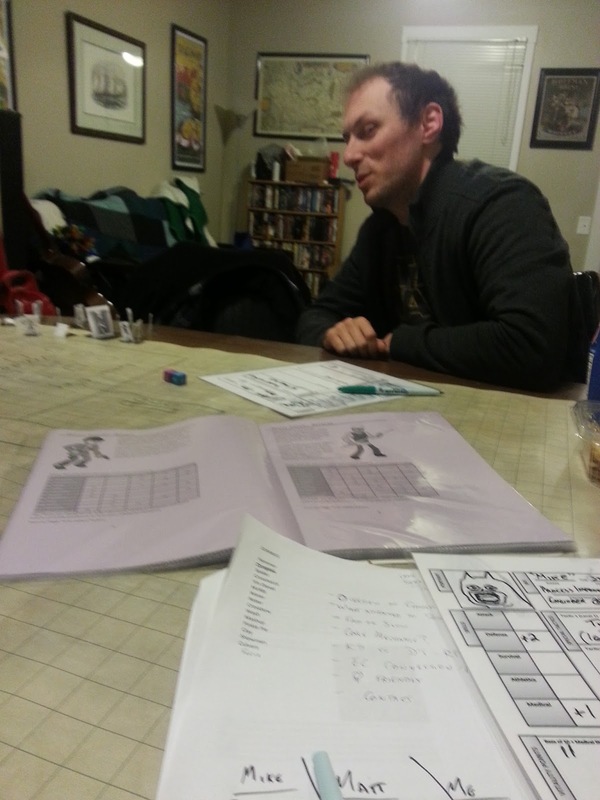 One-Shot: Wrath at Con! Episode 3 of The CVG Actual Play & Community Theater Podcast is up and in stores near you (i.e. iTunes)! 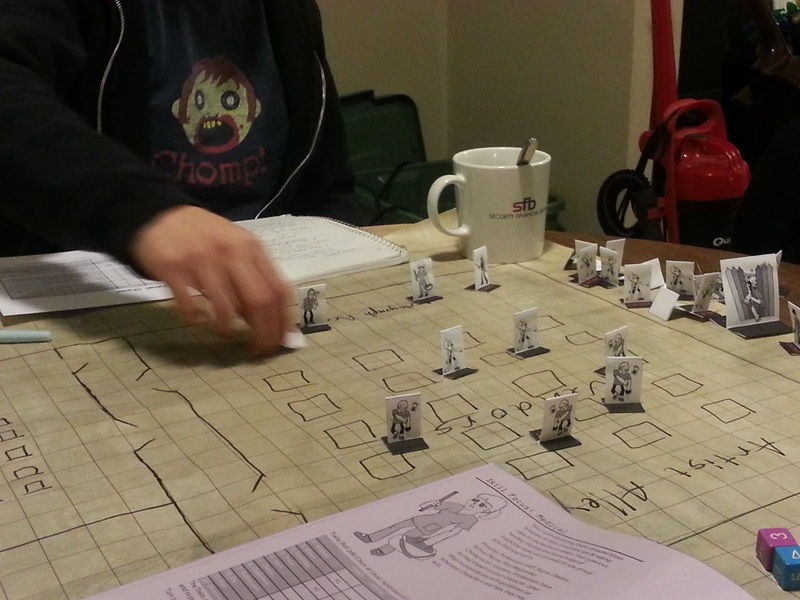 The game this time is a one-shot playtest of CHOMP! 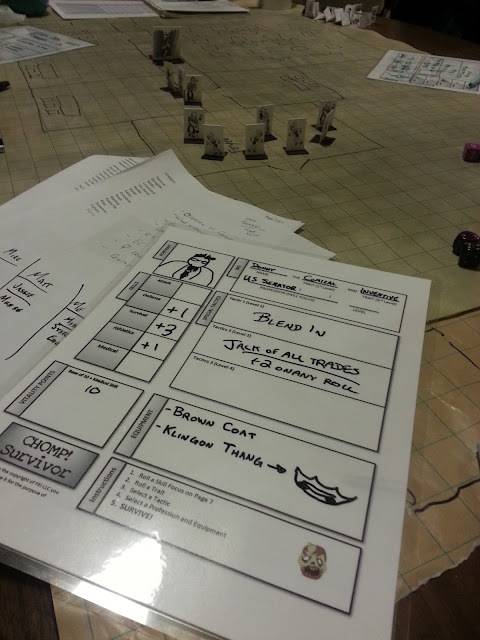 The Zombie Survival Horror RPG, from FKI, LLC! In honor of game designers Craig Sieracki and Matt Scott appearing on Episode 13 of The CVG Podcast and Rhythm & Blues Revue, Monster Mike and I invited them to sit in and run us through a zombie apocalypse of our very own! The resulting wacky hijinks resulted in Wrath at Con, and one of the most fun single game sessions in my most recent memory. 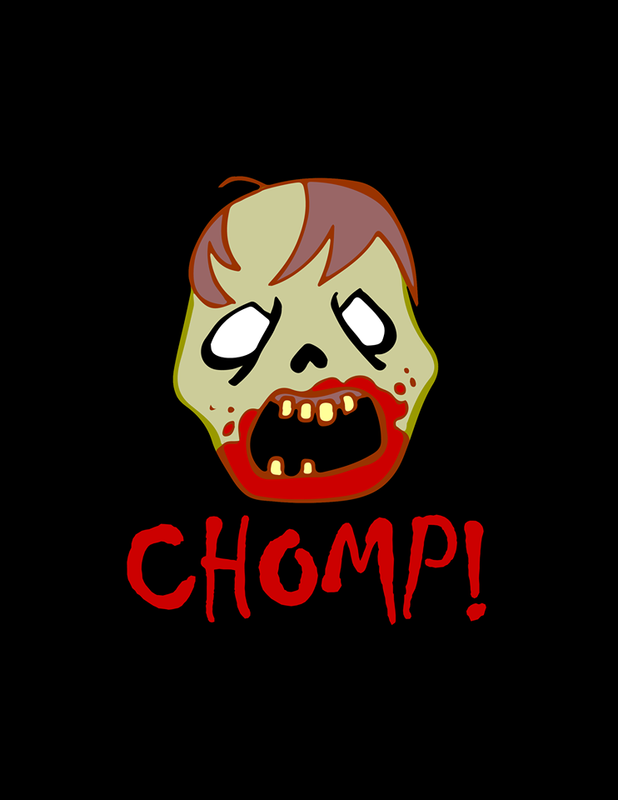 Find out more about the CHOMP! Survival Horror RPG on Craig and Matt's Facebook page. 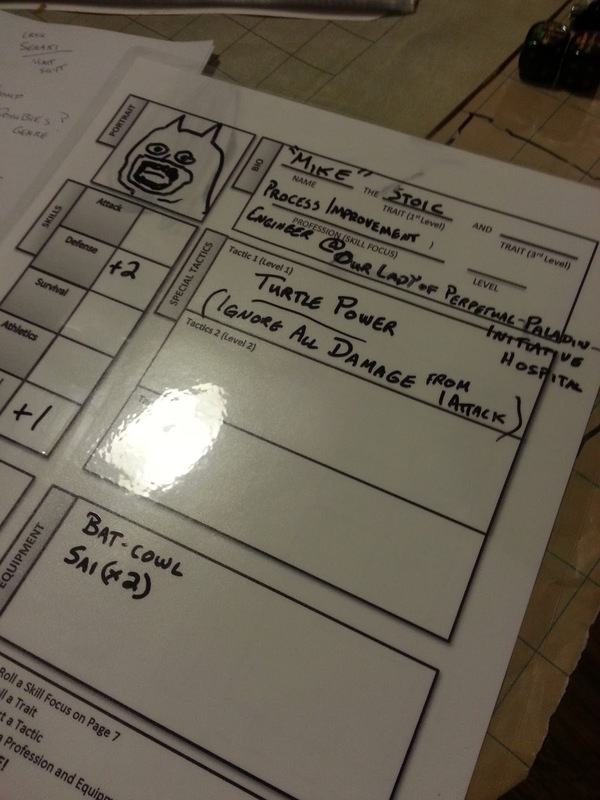 You can get your own copy at RPGNow here! You too can play CHOMP with Craig and Matt at Clearwater Con, July 25 2015 in Eau Claire, WI. See http://gamerati.com/gamedays/ for the latest updates and to preregister! 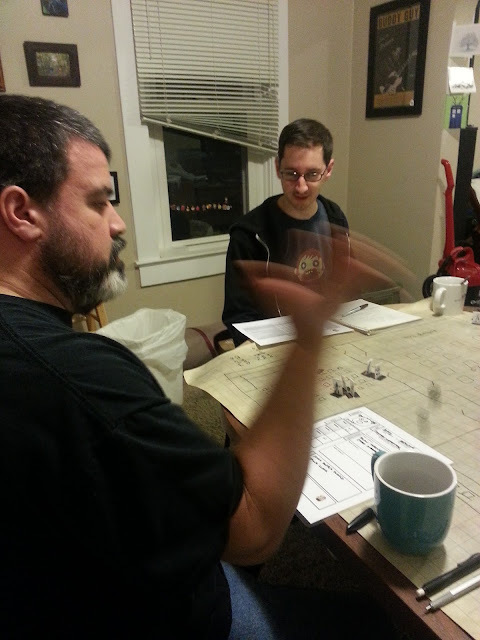 Some action shots from the game session! The Exhibit Hall - "You'll pay for this, Felicia Day!" The Clearwater Con Event Schedule is Available!